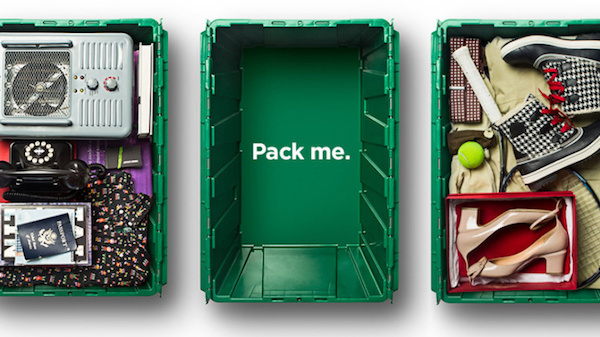 Read next: 13 Terrific Things We Can Learn About Storage From "The Office"
The first step to decluttering your paper is to stop all future paper items from entering your home. Transfer everything online. Most banks and major utility companies offer the choice to stop receiving statements and notifications in the mail — all you have to do is ask. To go a step further, skip the hand-written checks and pay your bills online instead. You’d be surprised at how many people don’t even know this is possible (online bill pay only accounts for 58% of consumer bills paid), but it is, and it’s genius. An online bill pay system makes it easier to pay your bills on time and manage your budget. It also eliminates the need to stock up on envelopes and stamps. That’s a win-win. First, gather every bit of paper in your house. Don’t forget to check the junk drawers for crumpled take-out menus, instruction manuals, and neighborhood flyers. Then, sort everything into three piles: Recycle, Scan, or Save. 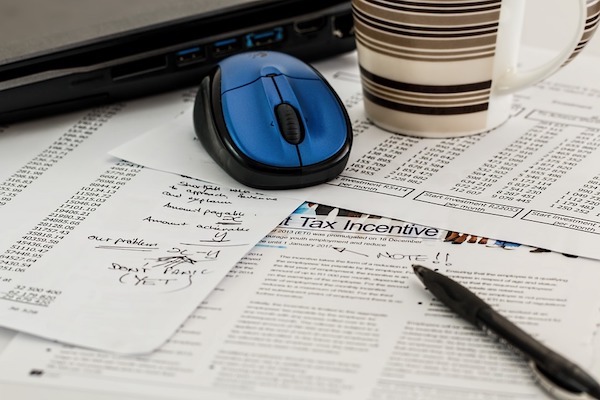 Put important documents like tax returns, medical files, insurance papers, and leases into a pile to be scanned onto your computer for safekeeping. 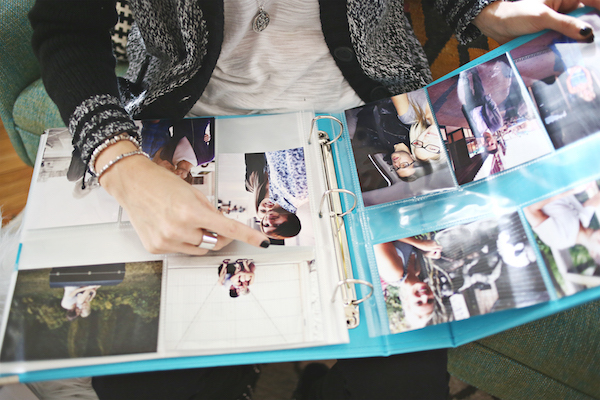 Save any special photos or sentimental cards you absolutely can’t bear to part with, then recycle everything else. Free Bonus: Read these minimalist living tips to learn how to pare down your stuff and live with less. 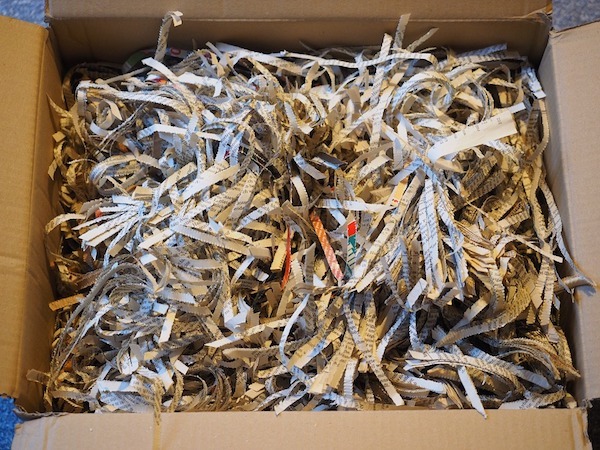 Anything that has your personal information on it (like your address, social security number, phone number, or bank account number) should be shredded — not tossed out with the regular recycling. Not only does a shredder help protect your privacy, but it also eliminates all paper that falls into the annoying “can’t throw it away, but don’t have a place to put it” category. Let’s be honest: You’ll never read them again, nor will you need them for a future craft project or vision board (Pinterest has us covered). 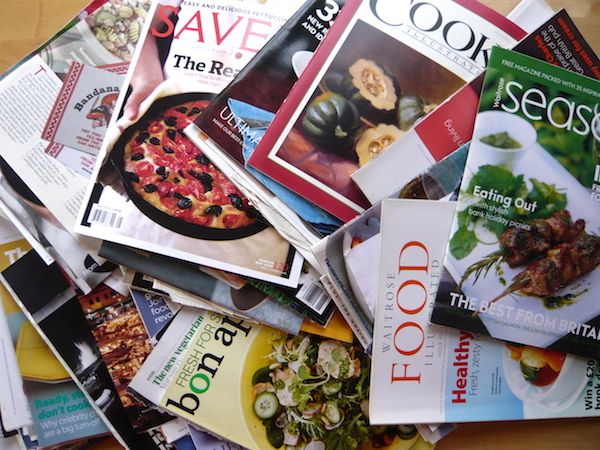 While you’re at it, unsubscribe from all the magazines you’re no longer interested in. Having a hard time getting rid of your stuff? 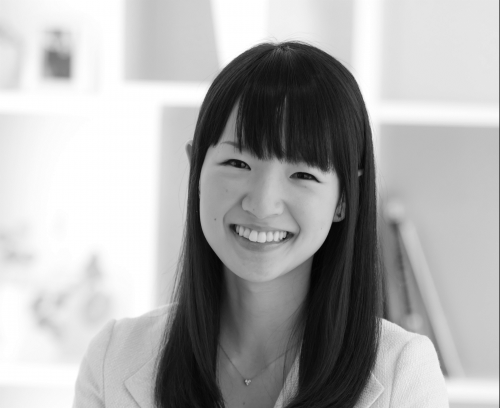 Learn how to how to easily declutter your home like Marie Kondo, the most organized person in the world. There are so many different types of filing systems, but the best ones all have a few things in common: They’re logically organized, easy to access, and spacious enough to store new documents over time. Consider your available space before you buy new filing equipment. If you have open desk drawers, metal file rails work great. If you have tons of closet space, go for portable file bins. 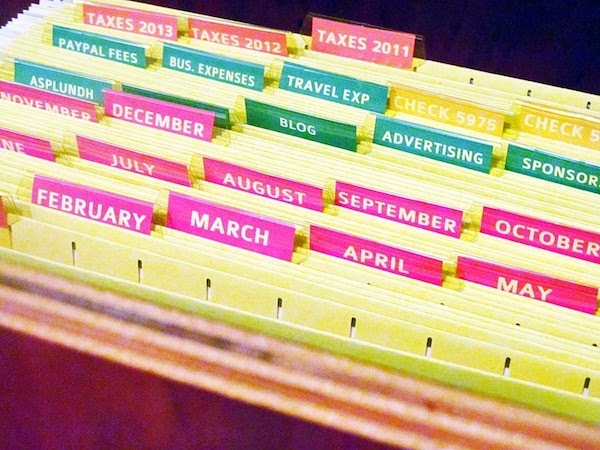 Prefer to keep your files in plain sight? Desk organizers are just what you need. 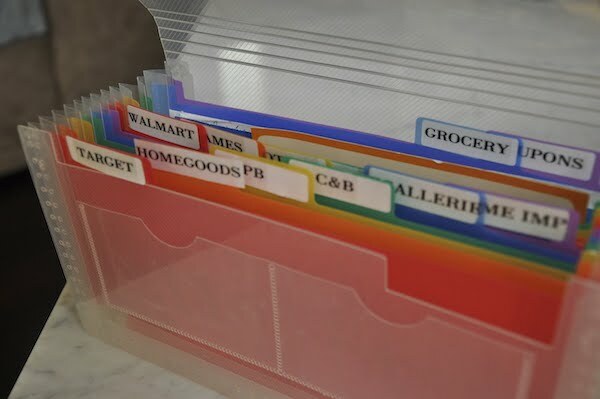 Next, stock up on file folders and separate everything into categories. Make sure you cover all the bases (Pet, Home, Medical, Creative, Work, Kids, etc.) and be as specific as possible with your labels. 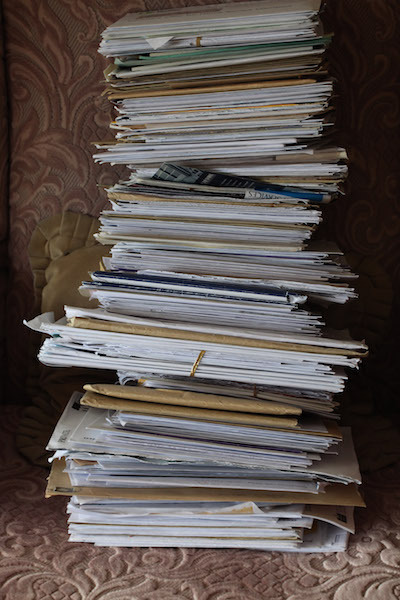 Before you even bring mail into the house, pause by your front door to toss everything you know you don’t need — like flyers, advertisements, coupons, and junk mail. Then whenever you’re on the way out the door, grab the bag and dump your paper in the recycling bin. Put all papers that require action on your part — RSVP cards to mail, forms to sign, letters to send — in one designated spot. 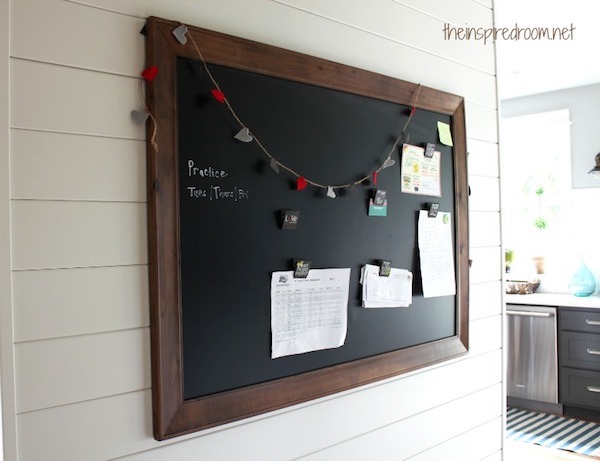 You could hang papers on a giant kitchen message board, stack them in a mail organizer on your entryway table, or place them in a shallow tray on your desk. Whatever works best for you. To prevent your station from turning into a dumping zone, make a daily or bi-weekly appointment with yourself to take care of the papers and clear the space. Coupons can be a major culprit of paper clutter. You find them, clip them with enthusiasm, then stash them in your junk drawer to expire and collect dust. If your urge to be thrifty is interfering with your space and sanity, you need a better solution. Binders. Or index card cases. Or any other middle school necessity. Just be sure to store the binder in your car or purse so you’ll actually use it when you go shopping. 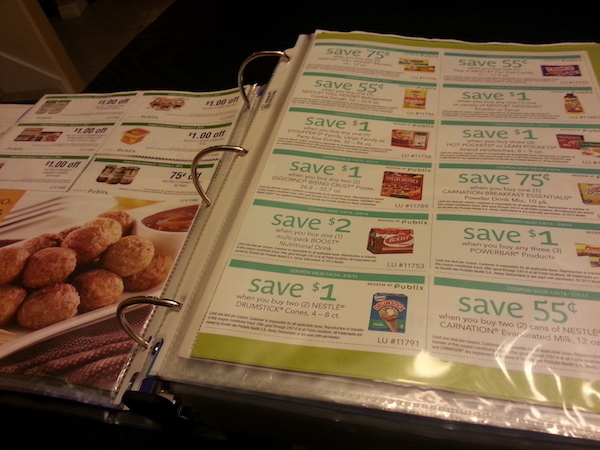 Like coupons, receipts can be organized in a small binder. Make sure you store the binder in a convenient place so you have no excuse not to add new receipts to it at the end of every week. You don’t need to save event flyers or invitations if you have a calendar where you can record all your upcoming activities. A digital calendar is ideal, but if you want to see your weekly schedule without having to unlock your phone, buy a desk or wall calendar. Every time you get a new piece of paper that details an upcoming event, just transfer the information to your calendar and recycle the paper. Don’t let your precious memories sit in a box under the bed. 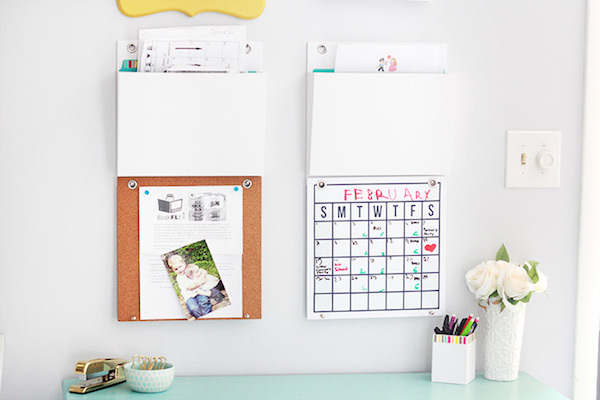 If you have a bunch of printed photos hidden away, give them new life: Put them in an album, frame them, or hang them on a cork board so you can enjoy them every day. Keep the paper items you use every day in plain sight. Put new magazines on your coffee table, stationery on your desk, and so on. Store sentimental items like cards, school papers, and souvenirs in pretty boxes or baskets to display on bookcases and shelves. You’re more likely to look through your mementos every now and then if they’re not tucked away in a closet. 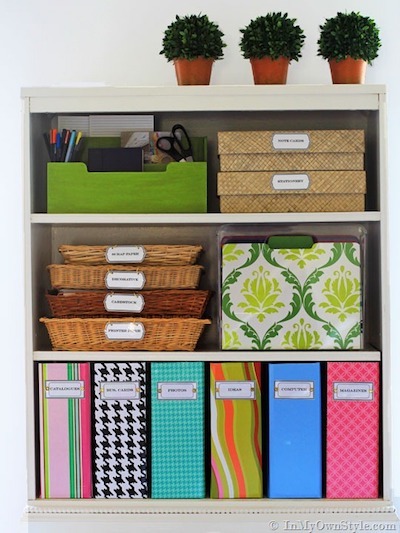 Keep all your craft and office-related paper goods (like extra printer paper, notebooks, and sticky notes) in the same area. For everything you can’t fit in your home, like boxes full of extra wallpaper, old Valentine’s Day cards, and books you’ve already read (here’s how to decide what books to keep), let MakeSpace store everything for you. Simply schedule a pickup and pack your stuff. 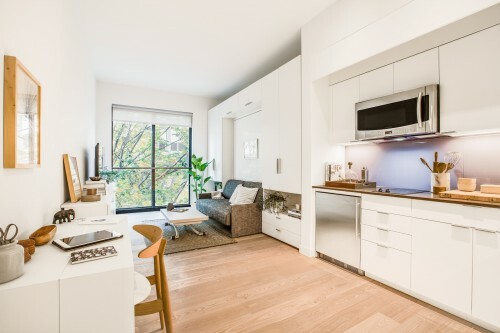 We’ll pick up everything from your home, transport it to our secure, temperature-controlled storage facility, and create a convenient online photo catalog of your stuff. 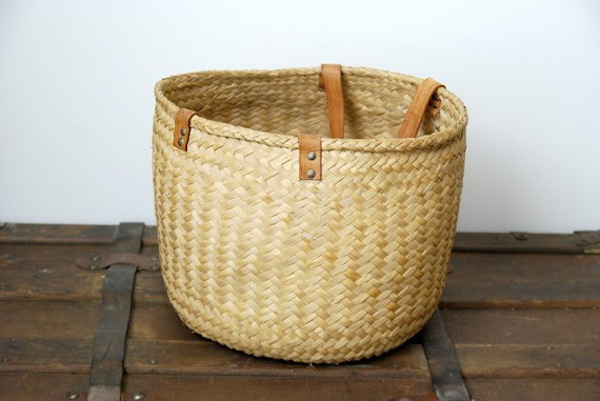 Then when you want something back from storage, just log into your MakeSpace account, click the item’s photo, and we’ll deliver it straight to you.